« Jackson Continues to Talk a Big Game – Can He Deliver? Raiders and Burress? Is it a Match in 2011? 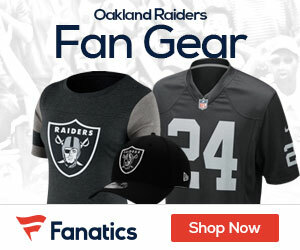 There hasn’t much talk about the Raiders trying to add Plaxico Burress once free agency starts, but Pro Football Weekly says that you can expect Oakland to take a run at the former Steelers and Giants WR. Expect the Raiders to be one of the teams in the Plaxico Burress derby. The team needs a veteran wide receiver, especially one with size. There are questions about how much the club can offer the former Giants star who was in jail the past two years, but if they can fit him under the cap, Oakland could make Burress one of their top free-agent targets. So should the Raiders go after Burress? Or will he be yet another distraction on a team that simply doesn’t need it with a new coach and coming off a .500 season? Just what the Raiders need another wide receiver with a troubled past.